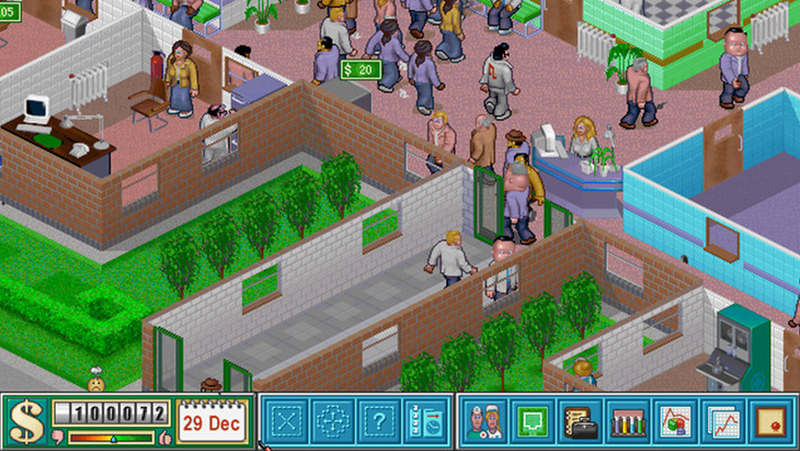 A couple of weeks ago EA released Bullfrog’s Theme Hospital for free on Origin. This was awesome news, even though I had already picked it up on GOG.com. Theme Hospital was a childhood favourite. I never got into the “modern” release of the game because it was the DOSBox version and seemed to be locked to a poor resolution and old sound effects. I remembered the Windows port I owned had higher quality music. As everyone online recommends CorsixTH, which has a fantastic set of features, I tried it but couldn’t play after running into this bug every time I ran it for a few minutes. So after some investigation I found a good, playable setup using the original DOSBox version. Here’s what to do if you want the original experience to run well on a modern computer. To start, the game seems to run best in windowed mode. The scaling method should also be changed to get the best look. Open up dosbox.conf in the DOSBox folder of the install. If you have the GOG.com version, you should use the ‘graphic mode setup’ program. You may want to experiment with these values to get the best from your system. I also changed the resolution to 1280x1024 for use on a 1080p monitor. The actual midi sound files contain the full range of sounds and instruments but DOSBox plays them through a low quality device by default.